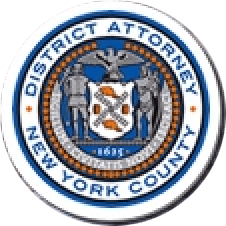 Manhattan District Attorney Cyrus R. Vance, Jr. and New York City Council Member Mark Levine hosted a community forum last night in Manhattan Valley to address the recent uptick in reports of hate and bias crimes. The forum, held at Edward A. Reynolds West Side High School on West 102nd Street, welcomed more than 130 local residents and community members. Manhattan Borough President Gale Brewer and Public Advocate Leticia James also attended and addressed the audience. “When it comes to targeted attacks on our families, friends, and neighbors, New York will not tolerate intolerance,” said District Attorney Vance. “Last night’s Hate Crimes Forum demonstrated the need for information on what constitutes hate and bias crimes, and the desire for community-based solutions to combatting them. “Too New York to Hate” is an awareness campaign launched by my Office aimed at encouraging victims and witnesses of potential hate crimes to report such incidents to the Manhattan District Attorney’s Office’s Hate Crimes Unit. We, along with our partners in City Council, will continue to be a resource in the fight against hate and bias crimes. Last night’s forum, which included a presentation by the Manhattan District Attorney’s Office’s Hate Crimes Unit, came amid increased reports of hate and bias crimes. Between November 1, 2016 and December 6, 2016, 22 incidents were referred to the Office’s Hate Crimes Unit as potential hate crimes, compared with 12 incidents between November 1, 2015 and December 6, 2015. In all of 2016, more than 100 incidents were reported to the Office’s Hate Crimes Unit.